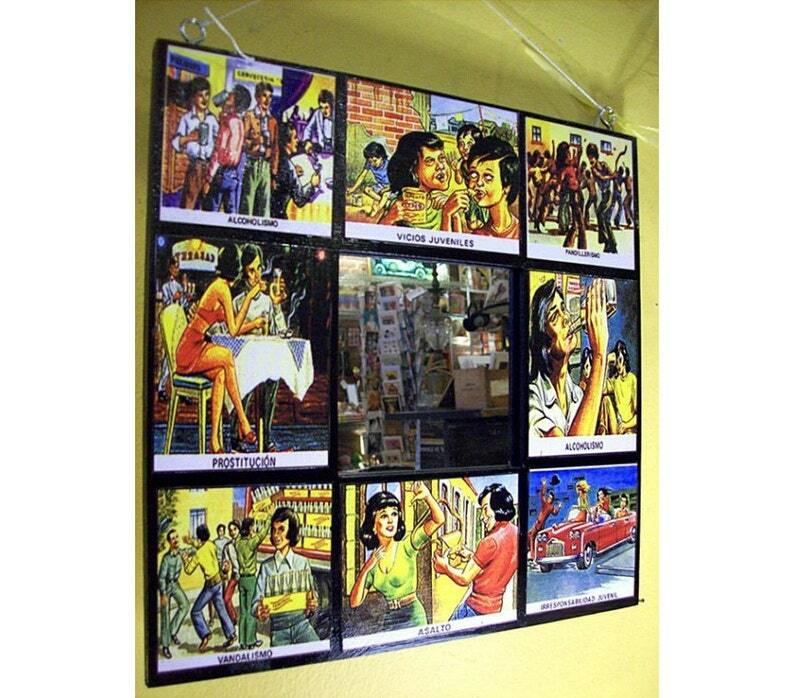 This wooden wall mirror is covered with retro images from Spanish language pubic service vice announcements and propaganda from Mexico touting various evils/vices and what will happen to you if you embrace/experience them. Public service propaganda kitsch and sleaze at it's finest, or worst. The mirror and frame together measures 10" square. I apply and seal the paper images on the mirror with decoupage medium and then apply polyurethane so the end result is a semi glossy product that is easy to wipe clean.